In outpatient healthcare, if you’re not thinking about improving your revenue cycle, you’re probably not thinking hard enough. Every dollar counts. Unfortunately, for a variety of reasons, revenue cycle management – obtaining, tracking, and accounting for every dollar – is often harder to manage than it should be. So if you’ve ever found yourself thinking, "I need to collect more cash (and do it more quickly), but I don’t know why I’m not collecting more cash," this article is for you. This simply means, "Are we collecting as much cash as we possibly can?" If the answer is no, your first question should be, "What should I expect our net revenue to be?" This is where many people take an ill-advised shortcut and assume the amount of cash they’ve collected in the past is the same amount they should be collecting today and in the future. The reality is, things change, and net revenue should be calculated every single month. Do the math each month and you’ll get an accurate baseline on which to determine just how well – or badly – you’re actually doing. Producing a bill for healthcare services is complex, and even the best work can sometimes create claims a payer won’t see as "clean." Being slow to bill, however, doesn’t help. A healthy revenue cycle is one that generates payment as quickly as possible, and you cannot receive money if you haven’t billed for it. Check your days to bill. Your goal is to submit claims in less than five days. Ask yourself, "Are we meeting this goal? How consistent is our billing?" Then use the answer like a canary in a coal mine; this KPI can indicate a breakdown on the front end of your revenue cycle process. As a healthcare provider, you want to receive payment for service as quickly as possible. 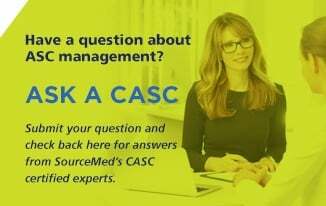 A number of situations, including lagging days to bill mentioned above, can create aging accounts receivable – money owed to you that you do not have in your hands. To best use this KPI, first determine what "old" means to you. Typical measures are 60 or 90 days. Then, calculate the percentage of your A/R that is greater than that day limit. Less than 17 percent of invoices above 90 days is considered healthy, via industry standards. The higher your percentage, the less healthy your revenue stream is and the more room there is for improvement. 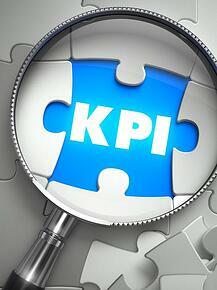 Once you’ve taken a good look at these three KPIs, what’s next? Do the work: first the math, then the team building and management to fix any problems you uncover. 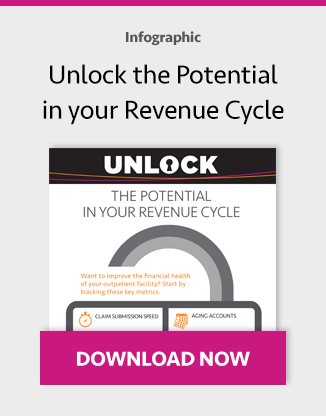 With the above ammunition, you’ll have the information you need to get started and find success when it comes to your revenue cycle management. Knowledge, as they say, is half the battle.